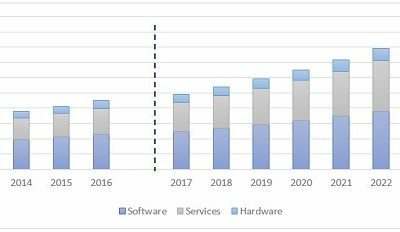 Relative growth of software, hardware, and services components of the GIS global industry. Source: P&S Market Research, 2017. The latest, a May 2017 report from P&S Market Research, has determined that the global GIS industry will continue to grow.